At our Prayer meeting "Praying over our city" I presented this lesson on BI-Location and also gave out a handout on chapter one; “Location.” Gleaning from a book I am reading: “Secrets of the Seer," by Jamie Galloway. Taking a look at chapter two, we will consider Bi-Location. Bi meaning two. Two places at once or being in two places all at the same time. As we look around us we see the visible things on earth. However if our spiritual eyes were opened like the prophet prayed for his servant to see - - then we would be amazed at another dimension filled with many angels and heavenly hosts. They are there to protect us, comfort us and do our bidding as we pray. There is a real dimension higher than our mind can see. Jesus was speaking to Nicodemus and notice Jesus is saying He is in heaven, but here he is on earth talking to Nicodemus. Two places at once! John 3:13 And no man hath ascended up to heaven, but he that came down from heaven, even the Son of man which is in heaven. 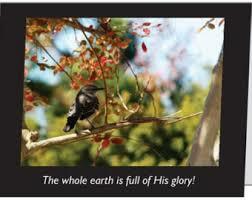 Ephesians 2:6 says we are seated with Christ in heaven, but we are also here on earth. 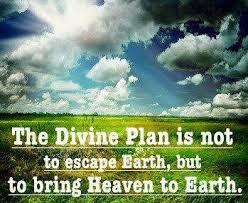 Heaven on earth is the secret to manifest the miraculous. When we prophesy as we pray, we are speaking from the Father’s heart, our God who is in heaven. Accurately we are in a sense in heaven and on earth as we prophesy as we pray. Paul says we have been crucified with Christ, raised with Him, and we now live in the flesh. (a natural body) When we speak of “Flesh” we often think of sinful flesh, but know this that Jesus ministered in the Flesh, and God loves to use flesh to accomplish His will. God seeks people like you and me to do mighty works. We understand Jesus is in heaven, but Jesus is also in ME and in YOU. Jesus is in more than one place all at the same time. In these days, many believers who live in the “flesh” are having spiritual encounters where they are taken up into heaven and beholding the wonders God is preparing for us. In the Bible, we read about Paul going there, and wondering if his body stayed on earth while he was in heaven - - because all was so real and he thought his body was in heaven. Our question then is this: What is heaven doing in my life? First: Start off in the natural world where you live. Read your Bible, Pray and seek to know God in a deeper way. Love one another. 1 Corinthians 15:46 However, the spiritual is not first, but the natural; then the spiritual. Know that there are natural occurring phenomenon's occurring in your life that are more spiritual than you realize. God works in times and seasons. Certain numbers may stand out to you. Compare them with scripture. As we pay attention to the voice of the Holy Spirit and the knowledge of God in everything, we are looking for evidence of Heaven touching earth.